Best Late Night Restaurant 2 Years In A Row! We would like to thank all of you for voting for us in NOW Magazines readers choice awards! 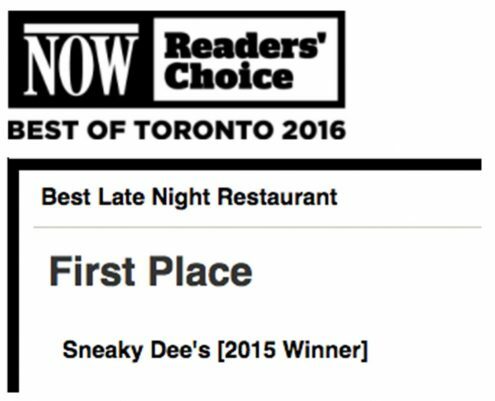 With your help we have nailed Best Late Night Restaurant and Runner Up for Best Cheap Eats. Thanks for stayin’ up late and eatin’ nachos with us.